We are back on line. For the last 4 days, we have had not WIFI for the boat. We are fishing out of range for our WIFI, but we are back on line. 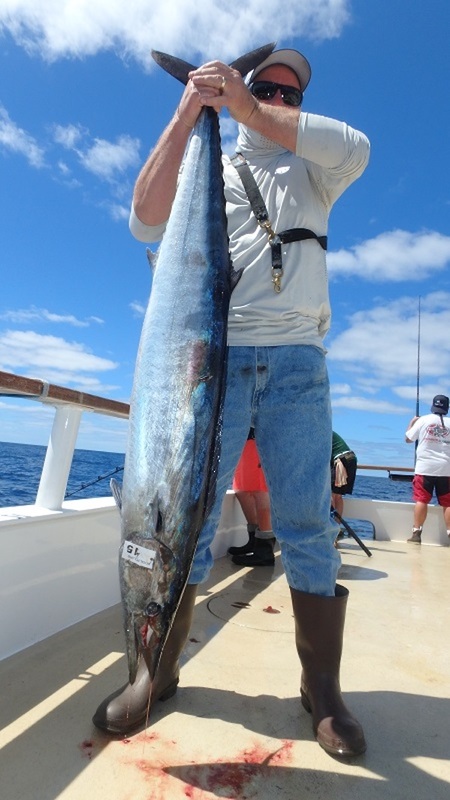 For the last 4 days, we have had decent fishing on Wahoo and Yellowfin tuna. But for the last two days, thing are starting to slow down. The numbers aren’t great, but the quality is good. 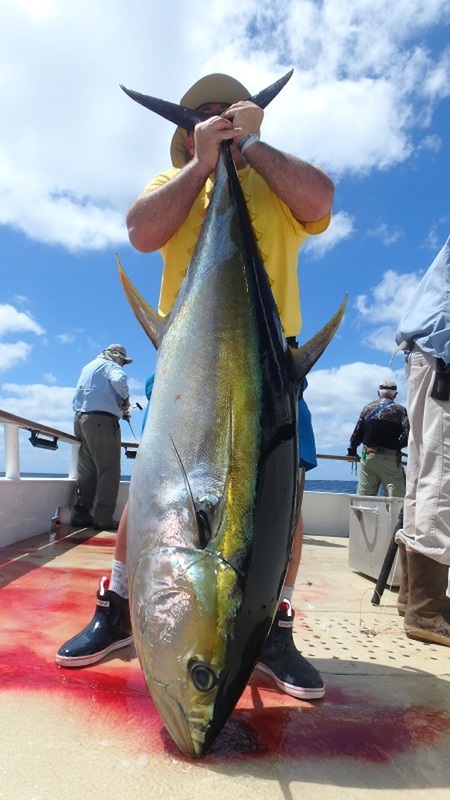 Largest Yellowfin for the trip so far goes to Kurt McCoy, with a 287 pound giant Yellowfin caught on the kite. 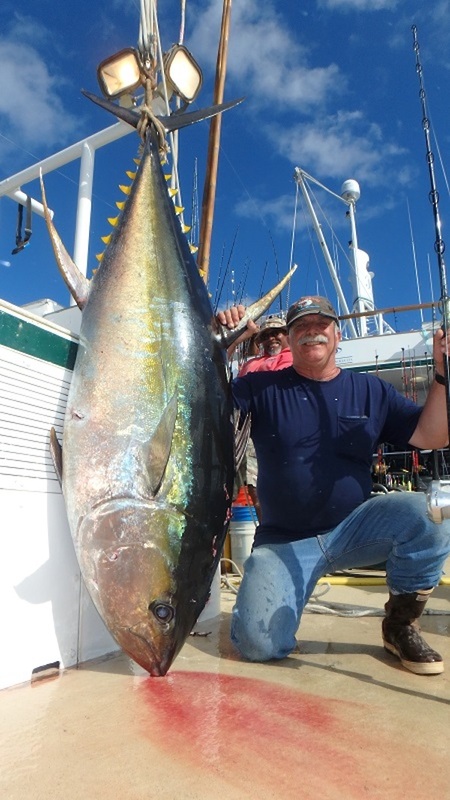 Most of the other Yellowfin are in the 120 to 140 pound range, with one more over 200 pounds. Lucky angler was Steve Muradyan, with a 224 pound giant. 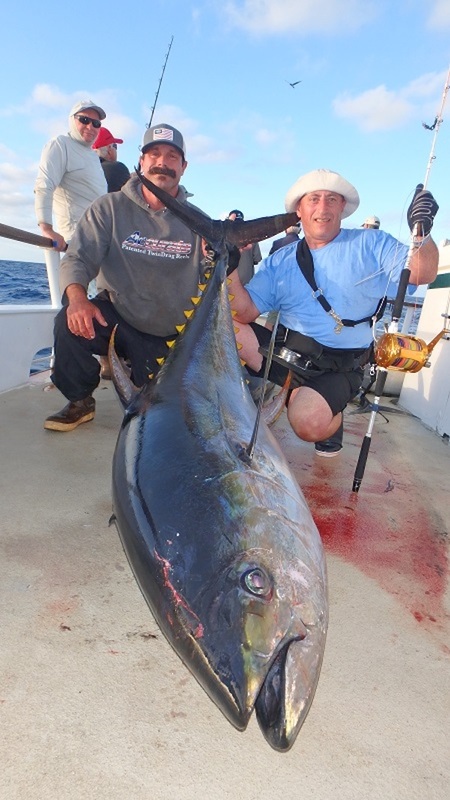 Other notable anglers, Rocky Opliger with 189 pound Yellowfin, Herb Yamanaka with a 192 pound Yellowfin tuna. 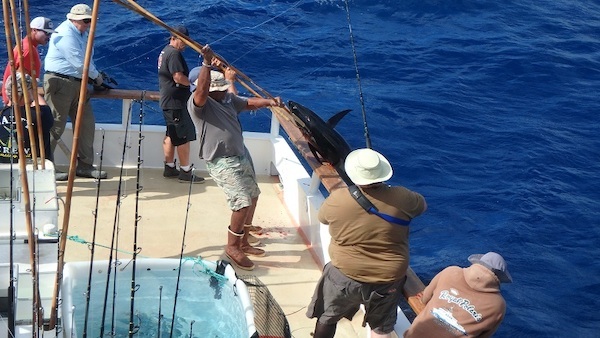 On this trip there is Jerry’s dollars, for the largest fish caught everyday over 100 pounds, and Bruce Posthumus leads the way with 2 days of big fish, but the trip is still young. We will try to make some flyers tonight, since the moon is not so bright tonight.